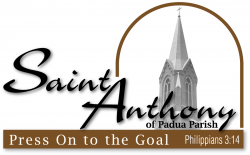 For more than 150 years, St. Anthony of Padua Catholic Church in Effingham, IL has been a center of spiritual, academic, and community growth through our many ministries with over 1,300 parish families, including a Catholic grade school and Catholic high school. St. Anthony Schools are a Catholic, co-educational PreK-12 school system in Effingham, IL that provides a learning environment steeped in tradition and committed to excellence in education. St. Anthony Grade School currently has more than 450 students in grades PreK-8, and St. Anthony High School currently has more than 200 students in grades 9-12.